Called Wild Frontier, the first season brings all manner of fresh content to the game, and you can get even more if you opt to purchase the Battle Pass, which has also been confirmed. Players can purchase the Battle Pass for 950 Apex Coins. Grab the Wild Frontier Battle Pass and jump into the arena, where every level you gain levels up your Battle Pass and unlocks exclusive rewards. Most of the rewards are minor stuff like poses, banners, and XP boosts, but there are some more exciting cosmetics mixed in. You also unlock a basic Octane skin at level 48, on top of the three Legends skins you get by purchasing the pass. Battle Pass level will reset at the end of each season, but the player level will not. Well, Apex Legends fans, we hope you're ready for the Wild Frontier. Not interested in the Battle Pass at all? What if I don't buy the Battle Pass? But if you're looking for a bunch of fresh content, then you might want to skip Apex's first Battle Pass. During the season you will level up, whether you buy a pass or not, but you will only get the rewards for your level if you buy in. 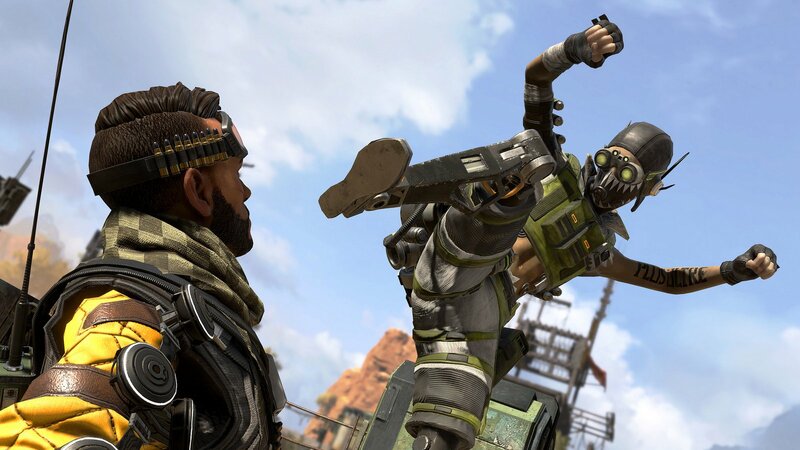 Turns out the leaks surrounding Apex's latest addition were pretty spot on; a post on PlayStation Blog describes the fresh-faced Legend as a breath of fresh air, and he'll be available to play tomorrow, when Season 1 begins in earnest. We look to do the same with our Battle Pass. Season 1 is just the first version on a long road of improvements, updates and tweaks.